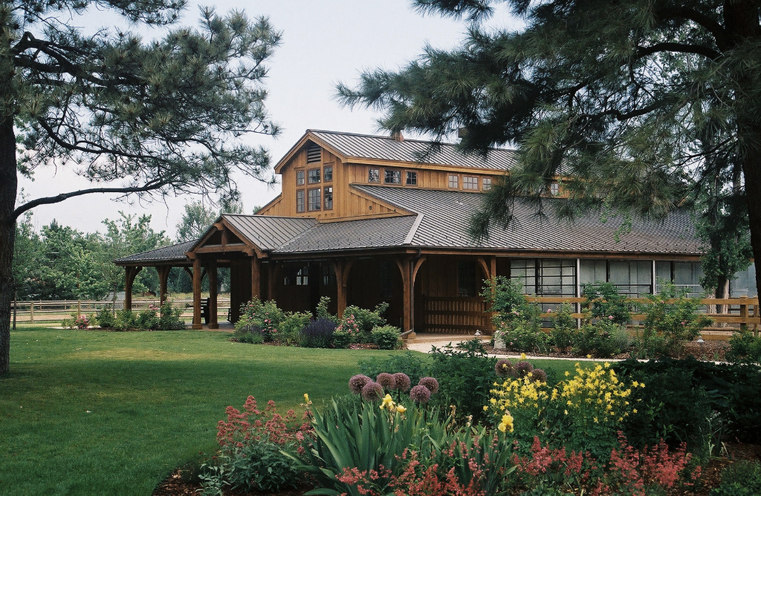 These two extraordinary structures join the client’s previously remodeled home, transforming the property into a charming estate. 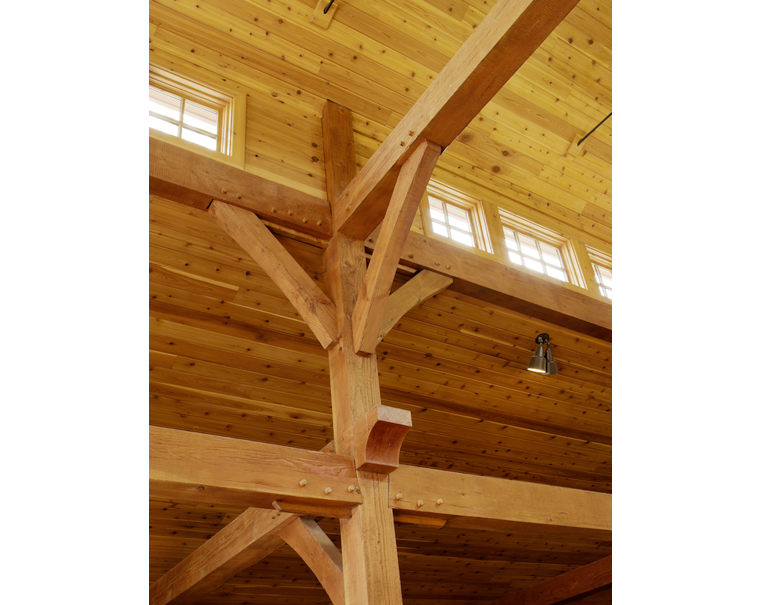 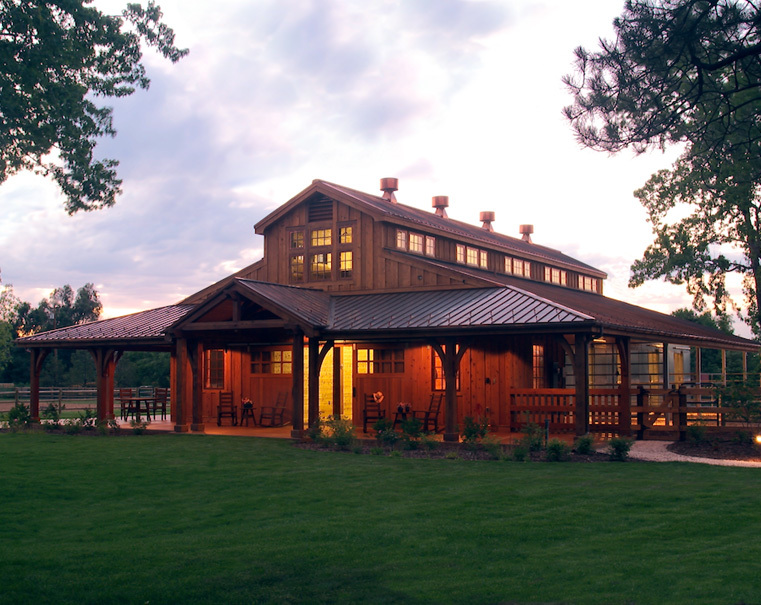 This clerestoried, western style, center aisle barn features a beautiful full mortise and tenon timber frame structure. 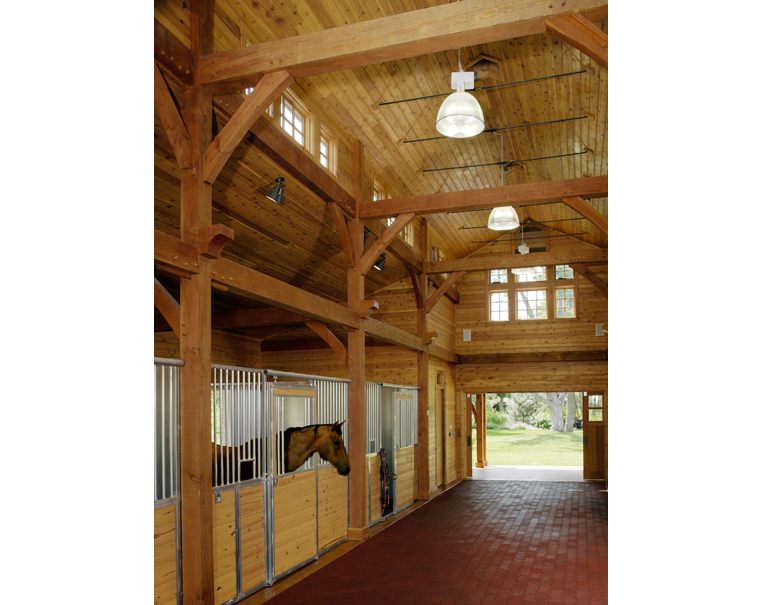 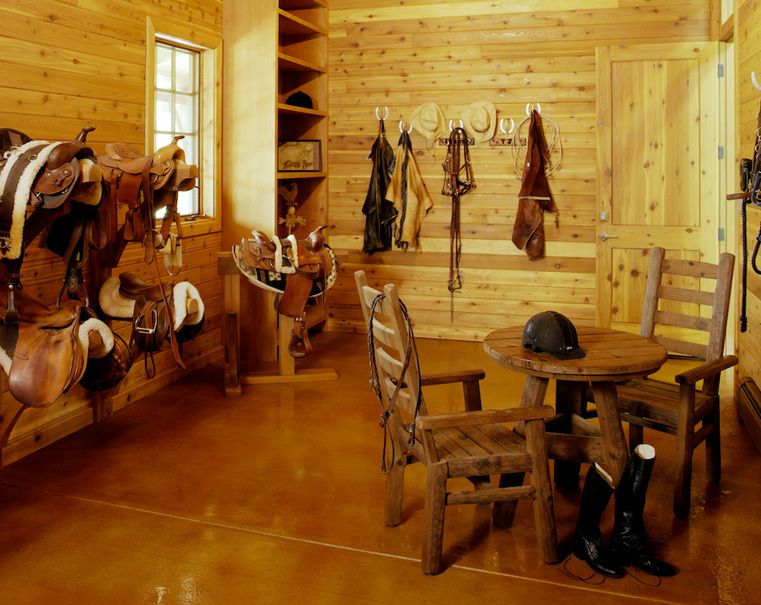 An expansive wrap-around porch provides a place for viewing the adjacent horse arena. 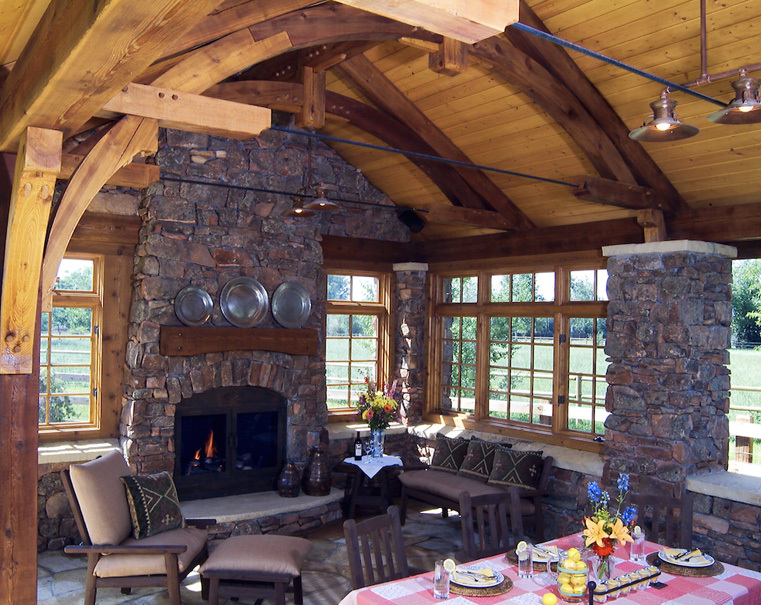 Nuzzled into an earthen berm, the shelter was designed to impart the look and feel of an old lake cabin by using copper windows and roofing, a large stone fireplace and arched timber trusses.